I had a very nice 2m QSO via EME with Ross on 144.125 (JT65b) and of course that is also a new one for me in 2 meters! 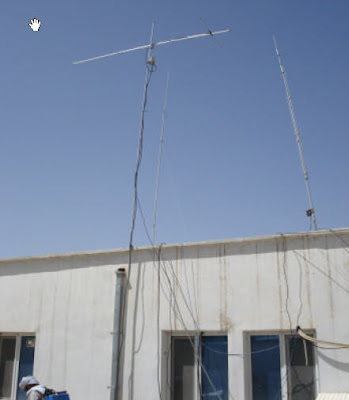 Ross, T61AA, has no elevation and he is working only during his moonrise and moonset with his 9 elements F9FT antenna and P.A. with GS35b. TNX Ross for new one, de SV8CS.